See how Podia’s online course platform compares to the competition. There are lots of online course platforms out there, and choosing one can be overwhelming. Below is a handy guide to help you compare us to the competition. Still have questions? Check out our online course platform buyer's guide. 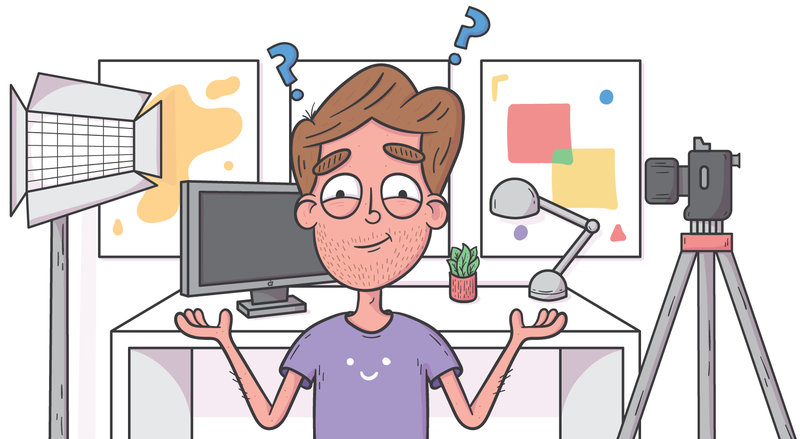 Or, if you're still thinking about whether or not to create a course, read our guide to creating and selling your first online course. The breakdown below can help you compare online course platforms and make the best decision for you. Pricing ranges from “free” (with transaction fees) to $39/month for Podia’s paid plan, all the way up to $499 month for Thinkific’s top plan. Account limits that require you to pay more for additional file hosting or students (for example, Kajabi will force you to upgrade to a higher plan after you pass 1,000 students). Included features, as they won’t all be the same. For example, LearnDash doesn’t include video hosting, so you’ll need to find (and pay for) another provider for that. For example, Teachable’s $29/month plan tacks on a 5% transaction fee, so $500 in sales will cost you an additional $25/month. You might choose a free plan like Teachable’s to not pay any money upfront, but then you’ll pay $1 plus 10% every time you sell an online course to a student. So once you’ve sold $400 of online courses (which won’t take you very long to work up to if you follow our guide! ), you’ll already be spending $44 per month on online teaching platform fees. If you have existing online course content, consider the time it will take you to import all of that content into your new teaching platform. One unique feature that Podia offers is free migrations for anyone who signs up for annual billing (or our Shaker plan). Depending on how much content you have, this could save you many hours of time. Once a student buys your online course, how do you get your money? Some platforms hold on to your money for up to 30 days before letting you have it. Because Podia integrates directly with payment gateways like Stripe and PayPal to let you accept payments, you’ll get paid instantly the minute a student purchases from you. Video files are large and can be very expensive to host. Platforms like LearnDash force you to find your own video host, while other platforms (like Podia) include unlimited video hosting for your online courses. Once a student completes your course, how do you continue your relationship with them? Sure, you could keep creating courses month after month. Or you could offer a membership plan that lets your student pay monthly for exclusive access to new content. Recurring revenue in the bank for you (without have to launch, launch and re-launch new courses), and ongoing value for your students. Podia is the only online course platform that also lets you sell membership subscriptions to your audience without needing to buy an additional membership plugin. Want to sell something smaller than a course, like an eBook, audio file or PDF template? Be sure that your online course platform allows you to do this, too, or you’ll need to find (and pay for) an additional tool. When you’re launching an online course, every minute matters. It’s important to understand what kind of customer service you can expect from your course platform. Your business will grow, and you’ll create more courses, acquire more students, host more files and send more emails. Podia’s base plan ($39/month) includes unlimited products, students, storage and emails.